Mister Rogers laughs at himself during the opening sequence as he mis-buttons his sweater. After fixing his sweater, Mister Rogers brings out a record of sound effects and a record player. He plays several sound effects such as coughing, whistling, and the sounds of a birthday party. He then sings It's You I Like. Elsie Neal calls and invites Mister Rogers to visit her craft shop where astronaut Al Worden is visiting. At the craft shop, Mister Rogers and talks with Elsie and Mr. Worden about poetry and other art. Mr. Worden shares a poem he has written about the ocean and shows a short film about the ocean as well. In the Neighborhood of Make-Believe, Daniel has a nagging cough. When Yoshi Ito asks Daniel if she can help, Daniel shares a concern. According to Daniel, Purple Panda did not have a birthday so he gave his away and assumed that he no longer had a birthday. Handyman Negri arrives with some cough syrup and he and Yoshi Ito explain to Daniel that people can share the same birthday. Feeling better about the situation, Daniel expresses the same birthday wish as Purple Panda -- to take a ride in the King's airplane. Back at the house, Mister Rogers reinforces the idea that people can share the same birthday by explaining that if no one could have the same birthday, we'd live in a very small world. He concludes for the day by singing The Truth Will Make Me Free. A clip of Mister Rogers mis-buttoning his sweater is used later in Episode 1576. 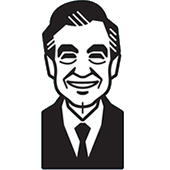 As Yoshi Ito, Handman Negri, and Mister Rogers explain that people can share the same birthday, they reveal their own birthdays: Yoshi Ito - November 1, Handyman Negri - June 10, Mister Rogers - March 20. Purple Panda is referred to as "Panda" in the Neighborhood of Make-Believe. At the end of the episode, as Mister Rogers is changing out of his sweater, he turns back towards the camera and gives his sweater a tug making one side longer than the other. With a smile on his face, he is likely poking fun at himself for mis-buttoning his sweater earlier in the episode.